Donald Trump’s lawyers have been working overtime in recent weeks trying to put out the many fires that their client, the President, has created. Between the Stormy Daniels story and the ongoing Mueller investigation, his legal team has more on their plate than they can handle, and reports now suggest that these legal experts are looking for a way out. Ring of Fire’s Farron Cousins discusses this. 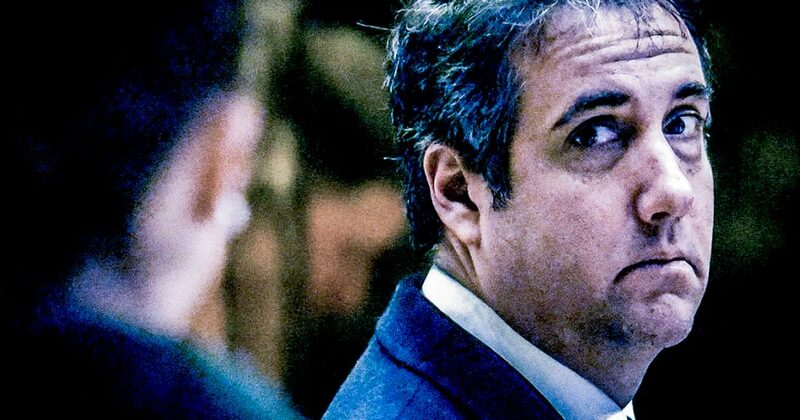 According to a recent report in New York Magazine by Jonathan Chait, Donald Trump’s lawyers are absolutely terrified about everything that is happening right now with the president. You see, these lawyers that Donald Trump has hired to defend him, to represent him, and to advise him, are having to put out too many fires that the president himself created. First and foremost, we have the Stormy Daniels issue that only seems to be getting worse for Donald Trump. His lawyers are trying to argue with 60 Minutes that they can not run a feature on the story like they’ve put together. They’re saying that no you can’t do this. We need to work out some kind of a deal or a compromise. So far, it’s not going so well for Trump’s lawyers. Last week they told Robert Mueller that, okay if you talk to Donald Trump, if we agree to have him come in front of you, that you have to agree to end your investigation within the next 60 days. That is an offer that Robert Mueller refused because it’s pretty silly. Here’s the thing though, these lawyers are already, according to Jonathan Chait at the New York Magazine, are already looking for a way out of the Trump Administration. Ty Cobb, one of Donald Trump’s closest lawyers, a guy whose been with him long before he ever entered politics, has already been on record saying, “I think my days here are numbered.” These people don’t even want to be there anymore. To be honest, who could blame them? Lawyers take on clients that they know are guilty all the time because they feel like people deserve better representation, but when you have a client who continuously goes out there or has in the past, and scandal after scandal after scandal erupts with that particular client, any good attorney in this country is going to drop them. They know that at some point all of these scandals add up and while they may not be illegal, it’s going to be a hell of a lot harder to defend your client when you have a history of dirty behavior behind them. That is exactly what’s happening with Donald Trump right now. These lawyers can’t put out the Stormy Daniels fire. They can’t put out the Robert Mueller fire. They can’t put out the fires being created by Jared Kushner and Ivanka Trump. They can’t put out the fire of Donald Jr meeting with that Russian attorney back in June of 2016. There’s just too much for them to handle at this point. That is exactly why these people, according to Jonathan Chait, are trying to find a way out of the Trump Administration because they understand that the ship is sinking at this point. They want to get on the first lifeboat that they possibly can.